Celkon Mobiles recently launched Celkon AR45 in its new RahmanIshq series and now it has now announced Celkon RahmanIshq AR 50, its latest addition to this series with a bigger 5 inch display priced at Rs. 8,499. This phone will be powered by a 1.2 GHz dual core processor based on Cortex A7 architecture and similar to AR45, Celkon has not with much detail regarding the Chipset specifications. The internal storage is 4 GB and can is expandable to 32 GB. The phone runs on Android 4.2 Jelly bean operating system and sports 5 MP camera at the back. The display is 5 inches compared to 4.5 Inch in Celkon AR 45. A preloaded app will help you shake and transfer data similar to Bump Android App. This phone also supports 3G connectivity and battery capacity has not been specified. 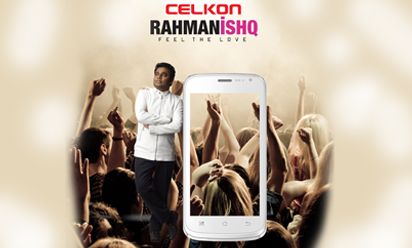 Various key specifications like RAM capacity, Display resolution and Battery capacity have not been mentioned by Celkon. The phone is priced at 8,499 and will be available for purchase by the end of this month and we expect more information to be available by then.